Chief Superintendent John Kerin says the security at Shannon Airport will not be compromised should Friday's strike by the GRA go ahead. FOLLOWING the closure of Lissycasey Garda Station, Clare Garda Chief Superintendent John Kerin has said that he intends having two gardaí stationed at the re-opened Kilmihil station, which will be up and running on March 1. “There is going to be a full-time garda back there and, hopefully, a second one. That’s what Kilrush Superintendent Seamus Nolan wants to do and it’s something that I’ve said to him. 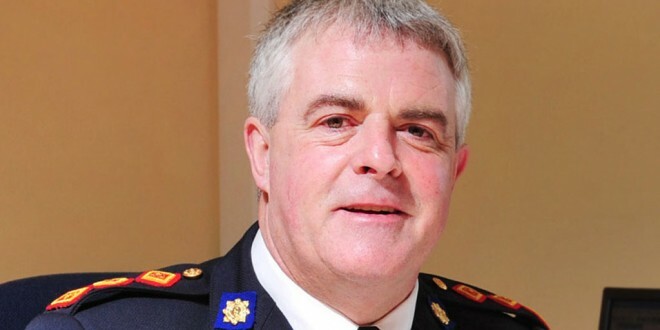 If he can spare a garda from somewhere else and reallocate to Kilmihil to have two gardaí there, it certainly would be something I’d be in favour of,” Chief Superintendent Kerin confirmed. He said Kilmihil needs a full-time garda presence in the village. “Up to a couple of years ago, you had a garda station in Kilmihil, Doonbeg and Lissycasey. We’d see Kilmihil as being a central location for the three places and of the three centres, from a garda perspective, it would be by far the busiest. Perhaps there are more issues in Kilmihil than the other places from a policing perspective and maybe a social perspective as well. There is very little crime there, per se, but we would have concerns that unless there is a good garda presence who know the community and know the issues, that maybe the issues that are there would become bigger. Bringing a second garda there would, hopefully in the long term, have a preventative role in ensuring that these things didn’t get any worse,” he added. Chief Superintendent Kerin said that because Lissycasey is so close to Ennis, many local people use Ennis Garda Station. “A lot of the people in Lissycasey conduct their business in Ennis Garda Station anyway. Garda Seán Mullins was based in Kilmihil initially. When Kilmihil closed, he moved to Lissycasey so he’ll be returning now to Kilmihil. All along, half of his duties have been in Kilmihil. He’s well respected in the area and, as I said, we’re hoping to supplement him with another garda. Of all the sub-districts that we have in Clare, someone suggested to me there recently that there are 12 gardaí and their families living in Lissycasey and the immediate area. Thankfully, there are very few issues there from a garda perspective, which is credit to the gardaí who have served there over the years,” he pointed out. On a broader note, the Clare Garda Chief Superintendent said that policing the county with vastly reduced numbers is a challenging task. “It’s very frustrating because the service that is required of us hasn’t diminished and maybe even an increased workload is expected of 15% less gardaí. It’s getting harder and harder. It is tough and there is no point in saying otherwise. I have never seen it as difficult, to be honest,” he conceded, before outlining some of the practical issues. “I have nine gardaí who will have left the organisation between the middle of last December and the end of March without any replacements. If more people retire and I’m not getting replacements, wherever they retire from, they are not going to be replaced. I have key positions in the likes of emigration in Shannon that I’ve got to fill. I’ve two vacancies there at the moment so that means that two gardaí are going to come from somewhere else in the county to fill those. I just don’t have replacements for them when I take them. I don’t think people realise how serious this whole thing has become,” Chief Superintendent Kerin stated.